American Marine Repair knows how important the final look of a yacht is. Therefore, we have mastered the art of the polished #8 (mirror) finish. We have been buffing and shining up cosmetic pieces for years on end and always make sure the customer is satisfied with the final look. Not only do we polish, but we can provide powder coating services as well. We can fabricate all the necessary deck oriented pieces that one yacht might need to operate on a day to day basis, as well as have them looking like they belong on the cover of a magazine. 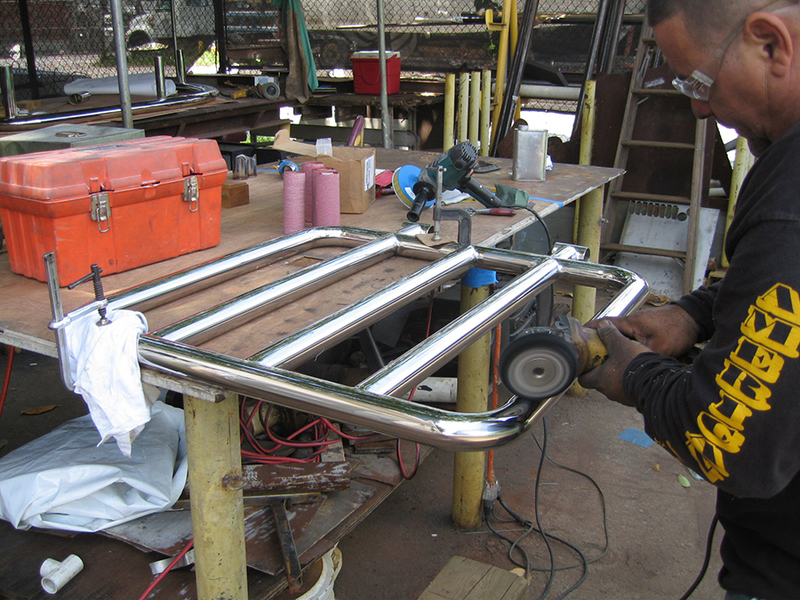 We can fabricate hand rails, cleats, anchor pockets, fairleads, striker plates, rub rails, masts, flag poles, and anything else you can think of made of metal.